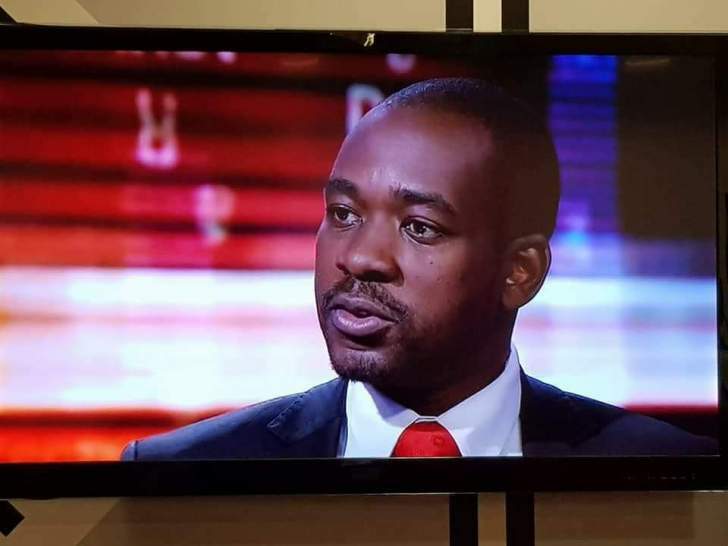 MDC Alliance leader Nelson Chamisa yesterday abandoned his planned Kwekwe "thank you" rally, diffusing a potentially explosive situation after his supporters had vowed to disregard a police ban issued last Thursday citing a typhoid scare. Party organising secretary Amos Chibaya confirmed the climbdown, saying Chamisa, sitting in consultation with party leadership, had resolved to allow the matter to be determined by the courts instead of raising political tensions by defying the police ban. "Our leadership weighed the benefits of having running battles with the police, getting our supporters shot at or arrested and that of allowing the courts to determine our application. We then decided to give the courts a chance to arbitrate so we called off the rally," Chibaya said. MDC Alliance lawyers approached the Bulawayo High Court on Friday with an urgent chamber application to have the police ban overturned, which will now be heard today. "We approached the courts seeking to have the ban overturned, but we could not get a judge on Friday at the Bulawayo High Court. We were told they were unreachable on their phones," he said. "Our lawyers then managed to talk to High Court judge Martin Makonese, who set down the matter for Monday (today). Now this matter is being heard a day after the rally was supposed to be held. This shows you the courts are captured, they are in it." Chibaya said there was deep-seated fear in President Emmerson Mnangagwa's regime that allowing Chamisa to address rallies could trigger a revolution by the new generation, which strongly feels robbed by the Zimbabwe Electoral Commission after the Constitutional Court ruling. "We understand that fear and they want to contain our president, but it's not about him, it's about the people, the nation and the future. As a leader, he takes direction from his supporters and not the other way round. He has, however, pleaded with supporters to wait a little longer for the rally," Chibaya, who was in Mbizo dismissing party supporters who had gathered for the rally, said. Mbizo MP Settlement Chikwinya said the decision taken was tactical, given that the regime was looking for an excuse to clamp down on the party leadership and its supporters. "They control the prisons, police and the military. We made a tactical decision, not out of fear, but out of trying to give processes a chance and also ensuring that we explore other avenues without endangering the lives of supporters. We will, however, take political solutions if our respect for the legal (route) is not respected," he said. Last Thursday, in a written response to MDC-T Kwekwe district chairman Charles Madhihwa, the police said the rally could not proceed because of a typhoid outbreak in Gweru. "There has been a typhoid outbreak in the province. Health officials are not allowing the public gathering," wrote the Officer Commanding Kwekwe District, Chief Superintendent Conrad Mubaiwa.